A two-hour lecture for individuals who may be at risk for oral head and neck cancer to inform them of the early and warning signs and methods of prevention and control. Free Head and Neck Cancer Screening Event, open to the public in honor of National Oral, Head and Neck Cancer Awareness Week. This event will include a ribbon cutting for our new office and head and neck screenings. MaineGeneral Medical Center’s Harold Alfond Center for Cancer Care will hold a free oral, head and neck screening. 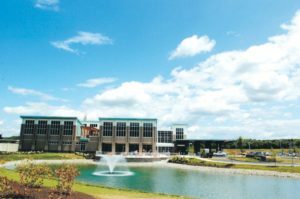 The event will take place at The Harold Alfond Center for Cancer Care Multidisciplinary Clinic in Augusta, Maine. Dr. Makaretz an ENT will be providing screening and education. There will also be registered nurses, a certified dietician. Free screenings at Baptist MD Anderson Cancer Center Ten minutes could save your life. Approximately 75 percent of head and neck cancers begin in the oral cavity, which led to tobacco and alcohol users being most at risk in the past. But, today, that isn’t the case. 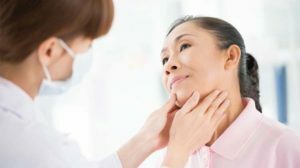 Oral, head and neck cancers now affect a. Free head and neck cancer screening to our community. Participants must be registered and a limited registration will be determined. 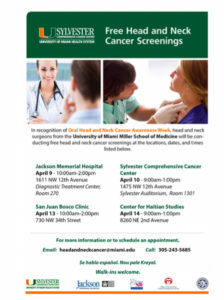 Our Head and Neck Physician specialists will assist with the head and neck cancer screening on April 10th. More information will be available as planning continues. 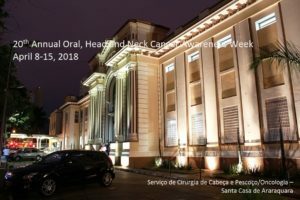 Oral, Head & Neck Cancer Awareness Week is being held nationwide April 8th - 15th in 2018. 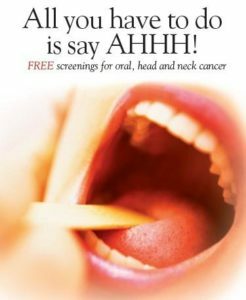 To recognize this week, the Dorcy Cancer Center's nationally recognized CARES (Cancer Assessment Resources Education & Survivorship) program will host a free oral, head and neck cancer screening. Tobacco (including smokeless tobacco) and alcohol use are the most.